You know that a restaurant is successful when it is a mile or two out of the center of the city and it is so busy during lunch and dinner that it takes time to get served. Carson's spent years building its reputation for excellent food, and now people literally come from miles around to enjoy a lunch or dinner there. Carson's has even started serving breakfast as well. The truth is that Carson's is well worth the drive. If you buy local pastries from any of the stores in Lockport, then the chances are good that you have bought something made at Carson's. The pies, cookies, and cakes made at Carson's are found in just about every locally owned food store in the city, and they occasionally make their way onto the shelves of the chain stores as well. The good thing about Carson's is that it is so much more than just cookies and cakes, although you should not deny yourself a cookie when you go there. There was a time when my wife and I would load up the whole family at lunch time every week and make our way out to Carson's. But now that all of our schedules have changed, it is hard to get the whole family together for a Carson's meal. For us, Carson's has become synonymous with a family experience, and we try to get there whenever we can as a group. Carson's sub sandwiches, simply put, are among the best in Lockport. That is saying a lot for a city of 20,000 people that seems to have a sub shop on every corner. The drive to Carson's is not really that imposing, but when you consider how busy Carson's always is and how many choices are closer to the city, you can start to appreciate how appealing the food really is. The aroma of well-cooked food and fresh pastries hits your nose like a tidal wave when you walk in and from that moment you just don't want to leave. There is no table service, but the ladies behind the counter are always very helpful and friendly. As busy as that place gets, I have never seen anyone have to wait so long for an order that they get frustrated. We have never had a problem getting served quickly, even on days when finding a table is hard to do. The dining area is clean and lined with cookies and pies. Let's face it; it is almost impossible to avoid buying something sweet from Carson's when you go there. Go with the flow and pick up a small cake or a small container of cookies. You will definitely not regret it. The food is always fresh, and that is something I had to stop and think about. Every restaurant has problems rotating out stock to keep things fresh. But at Carson's, I have never had a stale sub roll or a dry piece of deli meat. Their burgers are also really good, and everything is reasonably priced. The only complaint I have against Carson's, and the reason it lost a half a star rating, is the fries. When I first started going there, they made homemade fries that were amazing. Then they switched to the coated fries that every restaurant seems to be using these days. I was told it was too expensive to make homemade fries anymore, which I found kind of strange. But that does not explain why they would switch to those horrid coated fries instead of just using the old fashioned plain fries. Carson's knows its business better than I do, which is why it closes so early every single day. It is hard to get a dinner from Carson's because most days it stops taking orders at around 5 or 6 p.m. But if you can grab an early dinner, it is definitely worth it. Complaints aside, Carson's is an experience that everyone in the area should have at least once. The prices are reasonable, the service is great, and the food is much better than you could have ever expected. 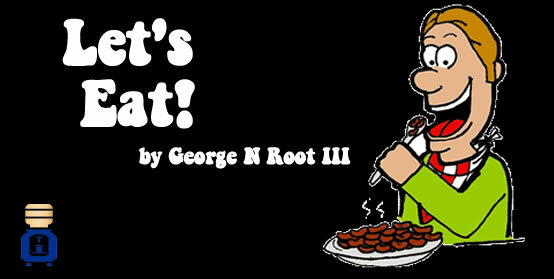 George N Root is a guy who likes local restaurants. You can follow him on Twitter @georgenroot3, or you can send him a message at georgenroot3@gmail.com.